Earlier this week I was browsing through some of my aerial photos of Jerusalem and came across this one that I thought would be informative to good Bible students. The photo is made while flying over the new (western) city of Jerusalem, some of which is shown in the bottom half of the photo. About mid-way of the photo (from bottom to top) you can see the entire Old (walled) City of Jerusalem. The Dome of the Rock, where the biblical Temple once stood, is almost in the center of the photo (sightly left of center). The Kidron valley is lost at this angle and the new tombs on the Mount of Olive seem to touch the Old City. 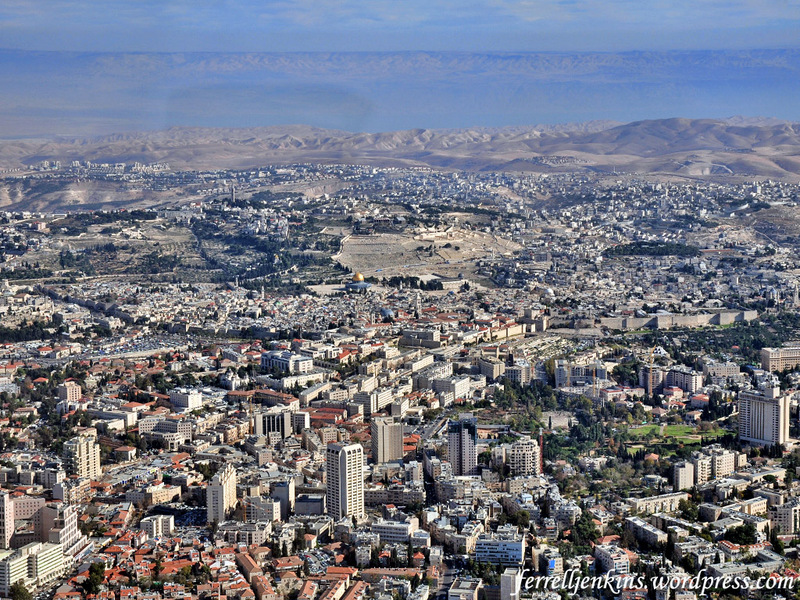 Aerial view of Jerusalem from the west. 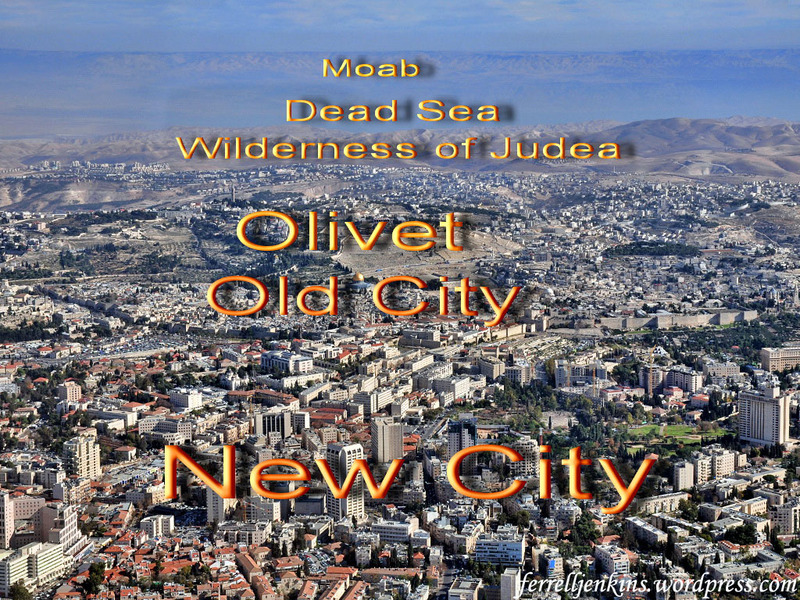 This photo shows the new (west) city of Jerusalem, the Old City, the Mount of Olives, the wilderness of Judea, the Dead Sea, and the mountains of Moab (Transjordan plateau). Photo by Ferrell Jenkins. Continuing east you will see a portion of the Wilderness of Judea, then the Dead Sea. At the extreme left of the Dead Sea a portion of the Jordan Valley is visible. Beyond the Dead Sea the mountains of Moab are visible in the Transjordan Plateau. The same photo labeled to identify the places discussed. Leon Mauldin and I have made numerous personal study trips to the Bible Lands in addition to the tours we have led. We have included flights to photograph these places from the air. I think you will enjoy Leon’s blog. It was a coincident that just as I finished my article showing Jerusalem to Moab, I received Leon’s blog showing the rooftops of the Old City and the Mount of Olives. This entry was posted in Bible Lands, Bible Places, Bible Study, Israel, Jordan, New Testament, Old Testament, Photography, Travel. Bookmark the permalink. Amazing scene with those mountains just beyond the city.